The goal -- make Memphis a better city. 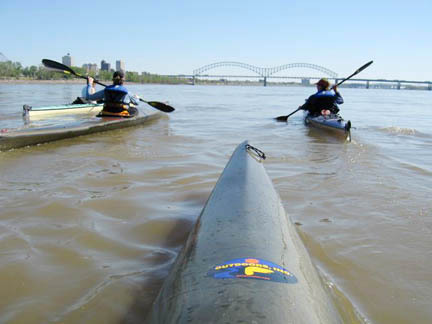 Here’s a riverfront suggestion from outdoor enthusiast Joe Royer. In a letter to Benny Lendermon, he asks the Riverfront Development Corp., to consider rebuilding the boat ramp at the North end of Mud Island. I've talked to the two canoe clubs in town, the Wolf River Conservancy, and a few more paddling friends. We know of over 3000 trips between the mouth of the Wolf River and the harbor by canoe and kayak for 2008.
area near the power lines. Maybe this could be part of the stimulus package.